A deal has finally been settled between the UK and Welsh Government to electrify the South Wales Valley lines. What does this mean for me and you, then? I take a look. The journey time between the valleys and the capital city, Cardiff, will be halved but the work won’t be completed until 2020. 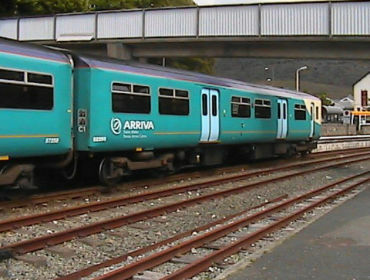 It will, of course, make the current Arriva Trains Wales service much more efficient and in the long term it could possibly lead more businesses to the Valleys. The Prime Minister made a visit to Wales’ busiest railway point, Cardiff Central, on Friday 21st November 2014. He then made a speech later on that day at the UK Investment Summit which was held at the Celtic Manor in Newport; he added that this investment will be huge for Wales. He also added that this is the new Wales. There was no doubt that the assembly members of the Senedd in the Bay were thrilled with this positive news, First Minister Carwyn Jones said he was delighted with the new deal. 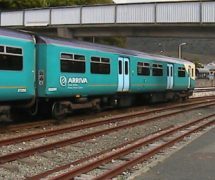 Arriva Trains Wales, which runs the Valley lines, welcomed the news which it said would “modernise” rail infrastructure and trains. Also, Hitachi have unveiled their new bullet train: could we see those state of the art trains running in Wales in 2020? We’ll just have to wait and see. BBC Wales Today’s political reporter, Nick Servini, interviewed the Prime Minister David Cameron. Find out what the PM had to say by clicking the video on the right.